What drives a violent husband and dysfunctional father to pursue his wife and son across a moonlit English landscape? What compels a troubled man to rebuild his broken family, constructing a fractured reality of hollow promises and false hope? What forces an old man suffering from a rare mental disorder to reconcile the terror of the past with the daily torment of being locked in a mental hospital where everyone he sees bears the face of his father? The answers lie in a disturbing journey of suffering and harrowing self-discovery. Evil has many fathers, and many faces. 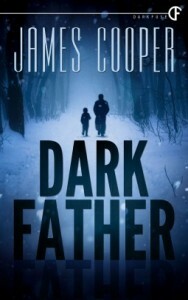 That’s the message of Dark Father, the first novel I read by James Cooper, but I predict it won’t be the last. This author has an engaging, enthralling writing style that pulled me into the story. The story focuses on three different men, who seemingly have no connection at first. Jumping in time from one main character to the other, the author spins a story that connects nicely in the end, and had quite a few surprises aong the way. The atmosphere is deeply rooted in despair, madness, and the darkness that threatens to overwhelm everyone once in a while. The characters had intriguing personalities. All of them felt realistic – and they were all struggling, trying to cope with the things they’d done, and the stuff like had thrown at them. Even the secondary characters were well-developed. And by the end of the book, no characters remained the same. An amazing book by an author I’ll definitely watch out for. 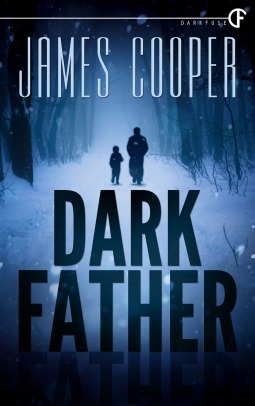 Highly recommended to all fans of dark fiction.